The amount of 1.8 USD has been deposited to your account. Accounts: U16056444->U1651590. Memo: Shopping Cart Payment. Payment to IncredibleEarnings from BITPENCE GLOBAL LIMITED - Business Trading Company.. Date: 19:54 14.03.18. Batch: 208379799. The amount of 1.8 USD has been deposited to your account. Accounts: U16056444->U1651590. Memo: Shopping Cart Payment. Payment to IncredibleEarnings from BITPENCE GLOBAL LIMITED - Business Trading Company.. Date: 18:10 15.03.18. Batch: 208478359. The amount of 1.8 USD has been deposited to your account. Accounts: U16056444->U1651590. Memo: Shopping Cart Payment. Payment to IncredibleEarnings from BITPENCE GLOBAL LIMITED - Business Trading Company.. Date: 21:32 16.03.18. Batch: 208586975. The amount of 1.8 USD has been deposited to your account. Accounts: U16056444->U1651590. Memo: Shopping Cart Payment. 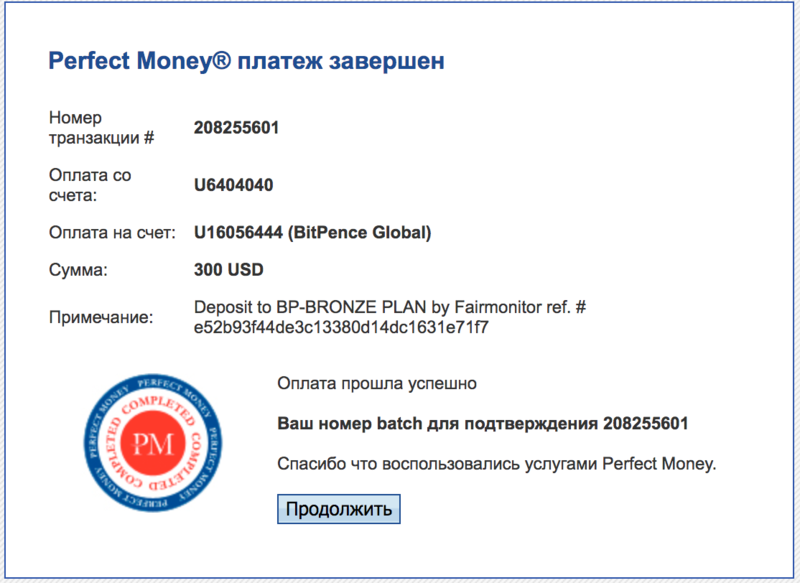 Payment to IncredibleEarnings from BITPENCE GLOBAL LIMITED - Business Trading Company.. Date: 18:02 17.03.18. Batch: 208664092. The amount of 1.8 USD has been deposited to your account. Accounts: U16056444->U1651590. Memo: Shopping Cart Payment. Payment to IncredibleEarnings from BITPENCE GLOBAL LIMITED - Business Trading Company.. Date: 21:22 18.03.18. Batch: 208757829. The amount of 1.8 USD has been deposited to your account. Accounts: U16056444->U1651590. Memo: Shopping Cart Payment. Payment to IncredibleEarnings from BITPENCE GLOBAL LIMITED - Business Trading Company.. Date: 18:15 20.03.18. Batch: 208962945.